Just moved to area and was looking for Dealership like the one we had before, FOUND IT! Firkins was the 1st and last we’ll try! Excellent Service, Waiting Room and Staff. Looking forward to our next appointment. Thank You Firkins Staff! Even though on the higher side of prices for service I feel comfortable bringing my car there for service and know it will done correctly. 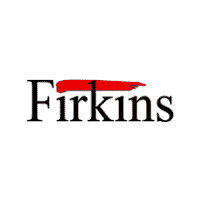 The team at Firkins were professional and efficient. it took less than 5 minutes to drop off my car, they to tell what they found, my car was ready for pick. Then it took less than 5 minutes to do the paperwork, pay the bill and get my key. I would recommend them to anyone. I had a repair completed at a small mom-n-pop shop and although they followed the correct codes and procedure to fix the issue, there was an underlying issue they were unable to diagnose, and they recommended I take it to a dealership. Ferkins, having dealt with so many Chrysler Sebrings knew what to look for and how to get it fixed. No more check engine light displaying on my dash, yeah! Great job! Thanks Joe! Even though I drive a Ford Focus, I have all my work done at Firkins. All I can say is: Joe Murray is the best! Great service. Friendliness and professionalism of the staff at it's best. After clearing up misconceptions, my very kind and helpful salesman Ira S. walked to the service center and had them call me to make an appointment. When I arrived at the service center I was treated quickly and with respect. I will be back when my Nissan has any need.